BUILDING scale replicas of famous sailing vessels is the hobby and vocation of Eugene Leclerc, a former sailor, who lives at St. Jean Port Joli, Quebec. He was forced to turn his hobby into a vocation when his foot became badly mangled in an accident that prevented his return to work. The market for Leclerc’s authentic models has expanded so that he has had to secure the aid of his family. Now, all the older members of the family specialize in constructing parts. 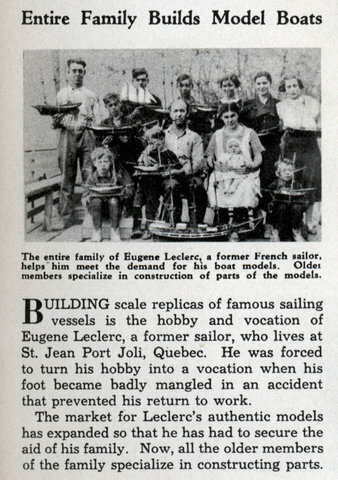 I am trying to get more history on Eurgene Leclerc and his boats ….would this article have more information? Leslie Bernardini: Why don’t you read it and find out? Leslie – I think that’s the entire article, or at least the entire ModMex version. 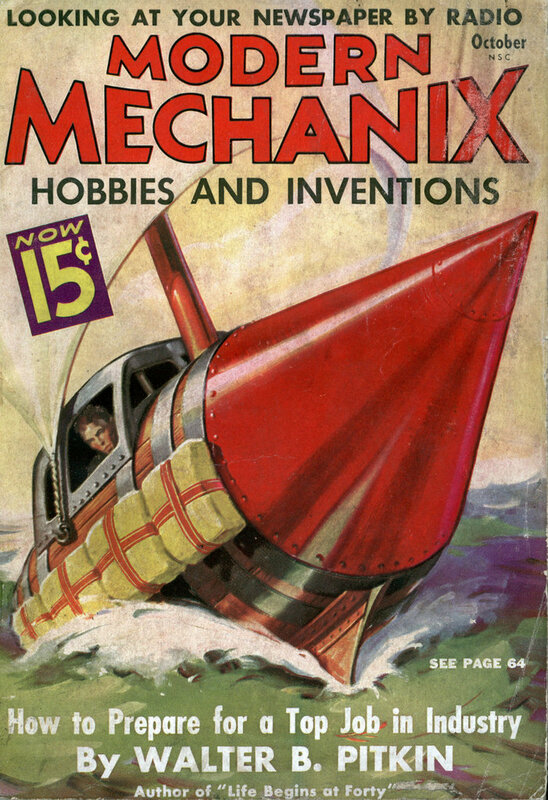 If you’re researching, you might use the date of this article (October 1936) as a jumping off place. Check here and here and here as well. Thanks for all your help……and Thanks for the address Firebrand38!! !